Please fill out the contact form below so that we can be in touch regarding our programs. Targeted at groups and organizations who are looking for that extra level of luxury and upscale accommodations while on their journey through Israel, our high level groups experience Israel through a unique and exclusive lens. 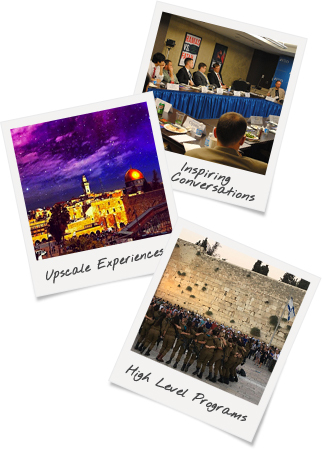 From participating in high level conversations with distinguished experts in their field and attending high profile meetings with government officials to exploring Israel's premium sites, scenes, and restaurants, our high level groups connect to Israel through specialized itineraries, custom-built for their specific group. Through our partnerships and strong relationships with some of the most upscale accommodations that Israel has to offer, our high level groups experience a highly sought after level of luxury, excellence, and comfort while traveling through Israel. Experience the adventure of Israel with Israelis on Birthright Israel with Shorashim! Learn more here. Start crafting your own tailor-made program today. 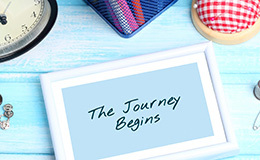 Click connect to get started! Ready to learn more or have questions for us?